Yerûšelem – this name might awaken memories in those among our readership who follow our premieres closely, as we had the immense privilege of being entrusted with the premiere of the band’s latest single “Reverso” (more on that here) exactly twenty days ago. The song’s atmospheric yet angular, dystopian yet thoroughly enchanting aesthetic surely didn’t fail to establish a certain pulling effect on many of you, so I’m glad to announce that your whetted appetite will not go unsatisfied another day. That’s right, today we are proud to bring you the exclusive full album stream of The Sublime ahead of its release on February 8 via Debemur Morti Productions! Before we get to that, though, let me (re-)familiarize you with this unique project. Founded by two members of the notoriously forward-thinking French black metal outfit Blut Aus Nord, namely Vindsval (guitars, bass, voices, synths) and W.D. Feld (industrial pulses, synths), Yerûšelem presents a more spiritual and hypnotic take on the mechanical sounds of industrial metal. Indeed, in drawing from influences like Godflesh, Thorns, Autechre, and ‘all forms of repetitive and hypnotic music‘, they create an unholy musical matrimony of the natural world and artificial urbanism, an intersection of spiritual yearning and the cold, unfeeling embrace of concrete and steel. The Sublime echoes the achievements of Blut Aus Nord‘s towering 777 trilogy, but infuses them with fresh ideas and influences to become infinitely more than a mere regurgitation of old concepts. Listen to The Sublime below! I would suggest you go and leave Yerûšelem a like on their Facebook page if you liked what you heard above. 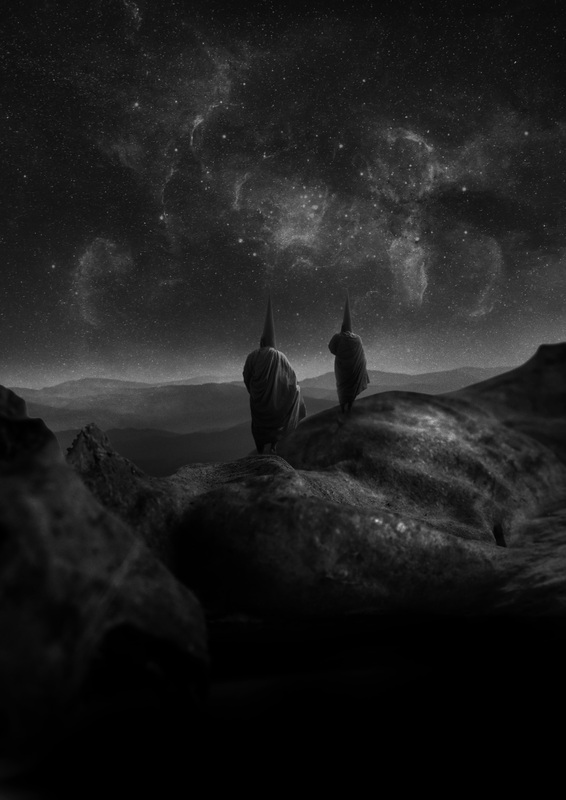 The Sublime is only the beginning – after the completion of the upcoming Blut Aus Nord record, Vindsval and Feld will begin working on new Yerûšelem material – so you should keep a close watch on this amazing project of theirs. Previous PostThe Gentleman Losers - "Make We Here Our Camp of Winter"